Readers begin to appreciate what, and how much, they do not know. If this is Yazbek’s work between just March and July of 2011, how many bookshelves could the Syrian story fill? We feel awake splashing our face daily in water - we feel we have caught up having read the news. But every day we learn nothing further, nothing more - the water splashes skin deep. Yazbek’s book tattoos the mind. 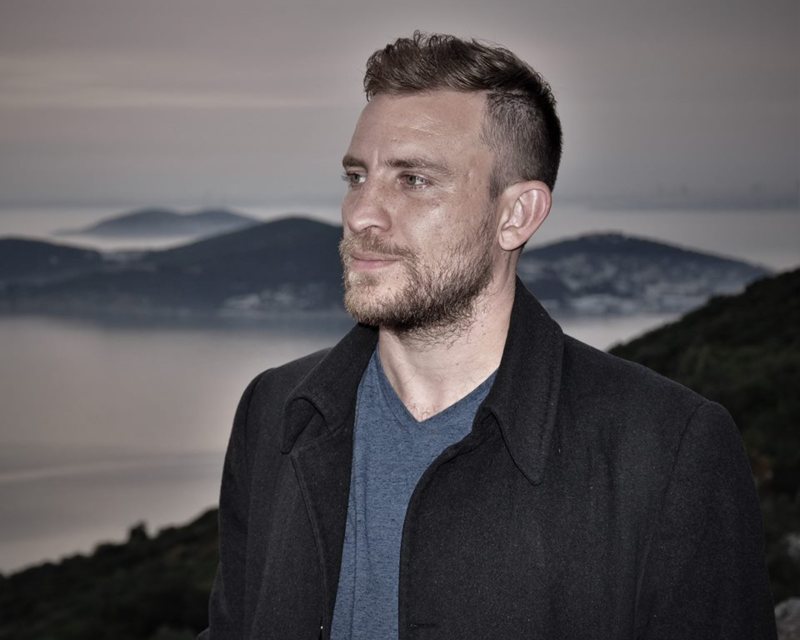 Gareth Chantler is a freelance Canadian writer based in Gaziantep, Turkey. His website, www.storiesfromsyria.com, focuses on Syrians telling their own stories in their own words. Journalist Samar Yazbek’s ‘A Woman in the Crossfire: Diaries of the Syrian Revolution,’ could have been titled as her account of July 7th, 2011 begins: “News of the killing increases by the day.” On one side of escalation is the future, the aspirations of Syrians, on the other is the past, the Asad regime and its brutal counter-revolutionary violence. Across forty-three entries, as the future tries to assert itself, “Statues are falling in the cities. Statue after statue,” the past re-establishes itself twice over. “Syrians,” Yazbek explains, “soon learned the geography of their country as open rebellion erupted in hundreds of towns simultaneously.” The book explores geographies physical, demographic, economic, and confessional. Who is the past and who is the future? Readers of John Stuart Mill or Thomas Paine would find it curious that a police state could, successfully, lay claim to being the future, a modernizing force. Such branding has taken Asad further than anyone could have fantasized. “During the revolution,” Yassin al-Haj Saleh writes in ‘The Roots of Syrian Fascism,’ “some of the cruellest judgments were voiced by members of one sect against other members of the same sect who chose to dissent from the presumed consensus.” These are the judgments the author diaries. Meanwhile in Damascus, Yazbek, “an active witness,” attends checkpoints, demonstrations, and secret meetings. She urges reluctant taxi drivers towards the day’s chaos. “What’s this? Between one checkpoint and another checkpoint there’s a checkpoint?” Once there, they yell to her to get back in the car. One weeps on the return trip, realizing his country will be forever changed, forgetting his observer in the rearview mirror. Ordinary citizens often resist both sectarianism and escalation. “It’s the practices of the state that feed sectarianism,” one Sunni activist testifies. “The Alawites in the villages around Baniyas are very poor, they suffer the same injustice.” The Syrians we meet through Yazbek often talk about economic injustice, something infrequently discussed by news-media. “What is the point of everything I am saying now amidst this carnival of death?” Yazbek wonders. “I will infiltrate the sleep of those murderers and ask them, ‘Did you look into the eyes of the dead as the bullets hit their chests?’” She returns to a rewording of this basic question again and again, but cannot explain to herself the callousness of those who kill. There is a fine line between poetry and vulgarity in writing about death and hazard. Yazbek does not write with detachment during sensational events, but cynicism prevents her from sensationalizing. We get a sense of the spirit that could move people to “go out with your friends to demonstrate, knowing that there are snipers from general security who could shoot you at any time.” Interview subjects speak until they are too tired, often promising to finish later. These times seldom arrive. Yazbek feels that her family has “painfully suffered the consequences of my life in a conservative society,” and that she has, amid their “nonstop bickering,” endangered her daughter. She decides to leave Syria. Most readers will consider the choice overdue. Two questions arrive with her departure -- can her diary be considered reporting and how should we treat the book’s testimonies? Both have one answer -- it depends on corroboration. “At the al-Khatib station, there’s something called ‘reception.’ […] [The security forces will] all be standing there on both sides, right and left, and as soon as you enter they start beating you from both sides.” This account can be seconded or contradicted by others. Further reading is therefore encouraged. 'We Crossed a Bridge and it Trembled: Voices from Syria,' a collection of Syrian testimonies, well-organized by academic Wendy Pearlman and released in 2017, is a natural place to start. So is Alia Malek’s 'The Home That Was Our Country: A Memoir of Syria.' Her Damascus is Yazbek’s, though the dialogue of others relates more to Malek’s personal narrative than testimonial collection. Yazbek’s diary flows with an urgency others books don’t quite achieve -- we do not know if those she meets will live or die. Her follow up, ‘The Crossing’ (2015), builds on and even surpasses its predecessor. In it, the author travels against better judgment to the villages and fronts of Idlib to see what has become of the revolution. Yazbek, Malek, and Pearlman’s works contribute to an expanding catalogue built on a mature practice -- that an effective telling of history is to be filled with voices and voices and voices. Voices not always in sync, since truth does not sound like a symphony playing for the mind (ideology, rather, forces noise into harmony). Readers begin to appreciate what, and how much, they do not know. If this is Yazbek’s work between just March and July of 2011, how many bookshelves could the Syrian story fill? This helps deal with the central question of how the news could saturate itself with a conflict to no fruitful end. How can so many react, on cue, to a word -- Syria -- yet so few know anything about it? News washes off every day and, “Numbers have become a game […] as if these numbers don’t mean souls and human beings with names.” We feel awake splashing our face daily in water -- we feel we have caught up having read the news. But every day we learn nothing further, nothing more -- the water splashes skin deep. Yazbek’s book tattoos the mind. [Main photo: Samar Yazbek in Saint Malo, France (Majalla/Fair use. All rights reserved to the author)].